Last night, the Oscars took a turn into the political realm. From Neil Patrick Harris’ jab at the lack of diversity to John Legend & Common’s acceptance speech, celebs were making bold statements. However, there was one actor whose speech stood out among the rest. 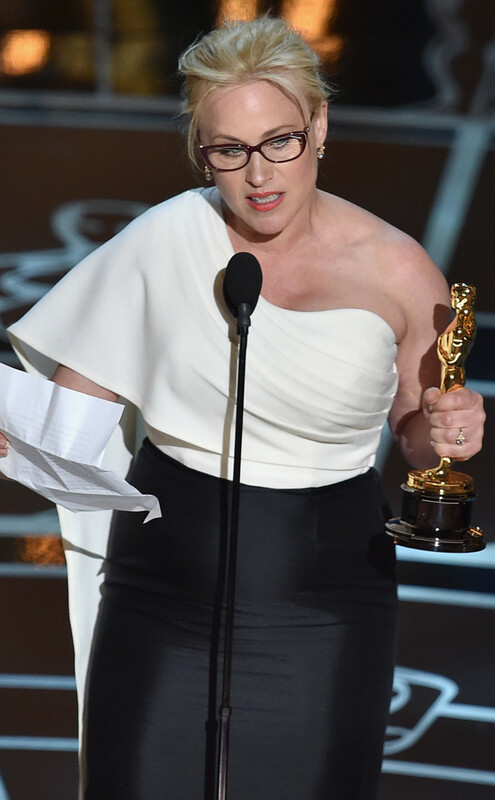 When Patricia Arquette highlighted the unequal pay and rights among women, supporters such as Meryl Streep & Jennifer Lopez visibly showed their solidarity. Women nationwide could have applauded her efforts of bringing income inequality to the forefront of public conversation. The only problem? Arquette marginalized gay, trans and women of color. Whether she intended to or not, her thoughts opened up a can of worms that depicts two larger issues within mainstream feminist theory: the notion that all women share the same experiences AND the undertones of “I Am Savior.” Not only are these lines of thought dangerous to the validity of feminism, but they invalidate the varying experiences of women who are not white, middle-class women. Gay, trans and women of color earn far less than their white counterparts. For every dollar that a white man makes, white women make 78 cents to the dollar, followed by black women with 64 cents, Native American women with 59 cents and Latinx women at 54 cents. While income equality is a very real problem in the US, Arquette’s net worth sits somewhere between 24 and 25 million dollars, far more than $49,398, the average yearly earnings of American women. Mentioning the need for a living wage would also been a step in the right direction. As well-intended as Arquette’s answers aimed to be, the “I Am Savior” sentiment reared its ugly head. Throughout history, women of color, gay and trans women didn’t have the luxury of focusing strictly on women’s issues. To say that mainstream feminists have fought for the rights of marginalized women is woefully inaccurate. If that were the case, there would only be ONE feminist theory, not multiple highlighting the need for inclusivity. The “we helped you through your issues, so you should return the favor” undertone only serves to pin marginalized groups against mainstream feminism. Nothing about the way Arquette worded that line shows solidarity within the community of women. Until we can include the voices of all women, I will respectfully hold my applause. So First Thing’s First…What is Intersectionality? Note: Click image for full illustration. If you’re a self-proclaimed feminist (or just an awesomely informed person), then chances are you’ve heard of the term ‘intersectionality’ at some point in time. But for those of you who are coming across this word for the first time, well, this post is for you. In the broadest sense, feminism is the belief that women should have the same rights, merit and opportunities as our male counterparts and that being a woman should not be viewed as a disadvantage. Intersectionality, on the other hand, goes far beyond the fight for equality among the sexes. The term was first coined by Kimberlé Crenshaw in her 1989 work. It not only recognizes the system of oppression between the sexes, but also acknowledges the interconnectedness of multiple oppressive systems. These systems can include gender, class, ability, age, religion, ethnicity, sexual orientation and other forms of identity. The goal of mainstream feminism is for women to effectively integrate into the present system. While this is needed, it just simply isn’t enough. The system itself is the problem. Being “welcomed” into a broken system isn’t the solution. We must condemn the system that has unapologetically been built by groups that are now marginalized by that same system. This is why my feminism HAS to be intersectional. Because I’m not just a woman. Because I’m not just black. Because I shouldn’t have to pick and choose which oppressed group I identity with that day. Unfortunately, I don’t think that the theory of intersectionality has been fully understood, accepted and embraced by “mainstream” feminists. Despite that, I’m hopeful that the feminists of my generation will continue to embrace the many faces of feminism, including my own. Well, it all started when a good friend of mine invited me to a Feminist United meeting on our college campus. Until that point, I never had the opportunity to attend one of these meetings, mostly because of work and other organizational meetings that just so happened to take place at the same time. 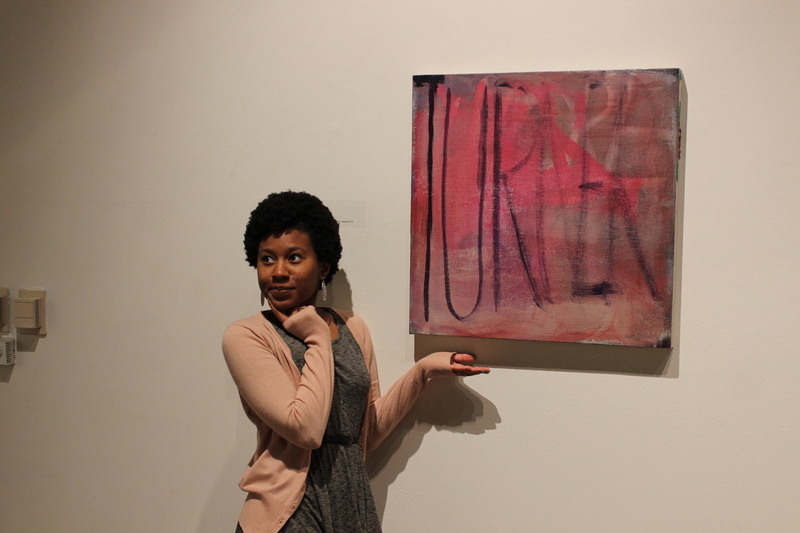 However, fall semester of my senior year proved to be (surprisingly) abundant with free time. After the 2-hour meeting, I left with a completely revised view of life. From then on, I began to view society and everyday life through a critical new lens I had not before. So, why exactly am I telling you all of this? Well, that brings me to why I’ve created this blog. On my journey to understanding and embracing feminism, it didn’t take long to notice that the many feminist spaces I came across didn’t have many voices from people of color. Because of this, I wanted to create a blog that serves as a starting point to bringing forth issues that people of color often face within the confines of a patriarchal system. In the creation of this blog, I feel it is important and necessary to state that this blog is a safe haven for all marginalized groups* who seek community, understanding and knowledge. *The article linked uses the term “minority groups.” I personally prefer to use marginalized because “minority groups” sounds offensive and gives the impression that people belonging to these groups are “less than.” Though not completely inclusive, the article does seem to offer the best explanation and breakdown of which groups fall into this category. On my journey to understanding and embracing feminism, it didn’t take long to notice that the many feminist spaces I came across didn’t have many voices from people of color. Because of this, I wanted to create a blog that serves as a starting point to bringing forth issues that people of color often face within the confines of a patriarchal system. In the creation of this blog, I feel it is important and necessary to state that this blog is a safe haven for all marginalized groups that seek community, understanding and knowledge.